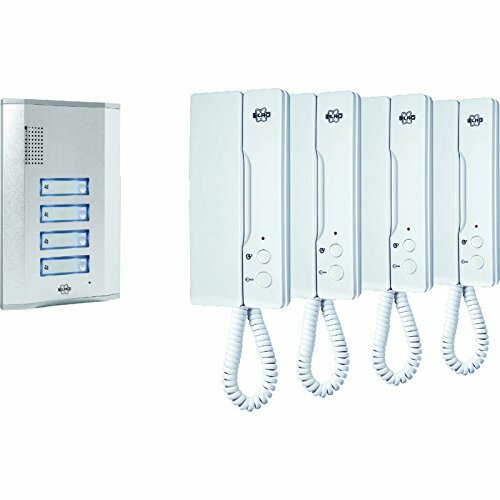 The Byron IB series audio door intercoms are a sturdy metal outdoor unit supplied with a surface mounting bracket and featuring a lighted push button with name plate. It also has adjustable bell volume, 2-way communication and a button for door lock function door-lock part number BYRDB5005. The cable extends to a maximum distance of 30m and this range come with a 3 year guarantee.